Hey, who’s the new girl? Here’s what’s happening in the world of television for Tuesday, April 10. All times are Eastern. 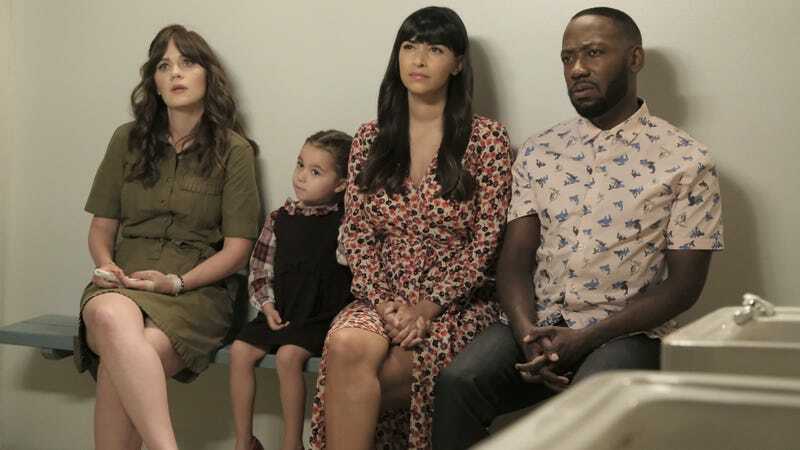 New Girl (Fox, 9:30 p.m.): New Girl’s sixth season ended with a pregnancy announcement and a big kiss, and when it returns for its final season tonight, viewers will finally learn what came next—give or take three years of other events in the characters lives. The show takes its finger off the fast-forward button “About Three Years Later,” and Emily L. Stephens just can’t wait to see what type of father Schmidt has become. Andre The Giant (HBO, 10 p.m.): Twenty-five years after his death, André Roussimoff remains one of the most beloved figures in the professional-wrestling world. In this HBO documentary, 30 For 30 vet Jason Hehir tells the story of how Andre The Giant reached those vaunted heights, with help from those who knew the man the best, from his family members to his Princess Bride co-stars to his fellow WWF personalities. Noel Murray has the ringside commentary.